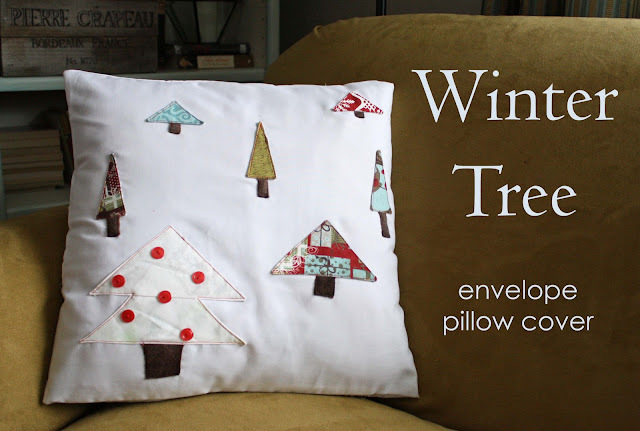 Yet another throw pillow cover for the holidays. Are you sick of these yet? So I decided to make the stockings and tree skirt that's been on my list. I opened my shoebox of Figgy Pudding fabric (Moda by Basic Grey) I bought last year. I love this fabric line, and had saved all these little scraps I just couldn't throw away from makingthis tree quilt last year. 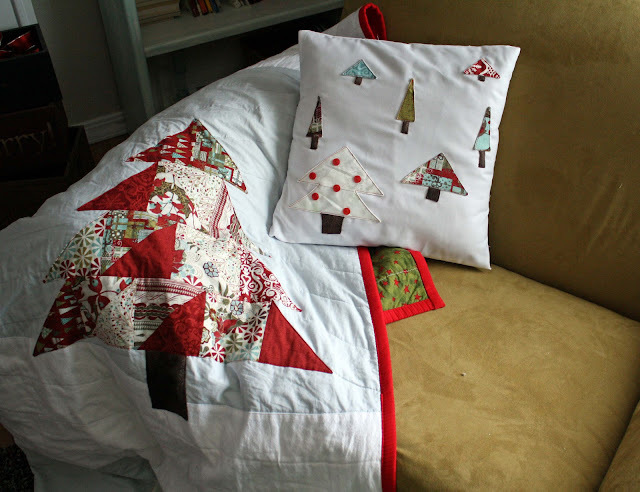 I had kept them to make a pillow, so I again put the stocking/ tree skirt aside for yet another pillow cover. The construction of the pillow cover is the same from this bird tutorial here. This pillow was bigger, so I did adjust for that. The trees are just triangle scraps, with fleece trunks. You could just top-stitch them on with raw edges, but I chose to use fusible interfacing to have folded edges. 1. 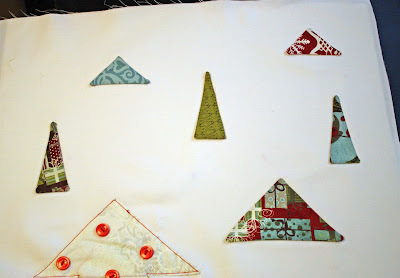 Place the right side of the tree on the fusible/ sticky side of the interfacing. Sew right along the edge, 1/8" or so. 3. 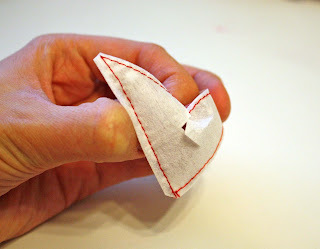 Puff the pouch, so the fabric isn't touching the interfacing and snip a hole with scissors. 4. 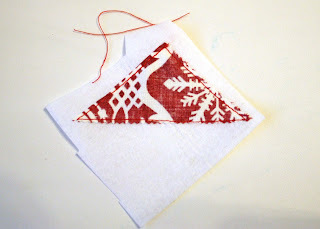 Cut the interfacing enough so you can flip the tree right side out. The fusible side of the interfacing is now also facing out. 5. 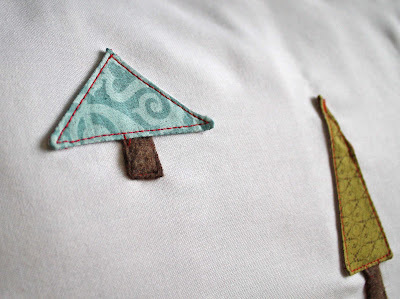 If you used the fusible interfacing, you can now position your trees where you want them, and iron them on. They will stick to your pillow, while pressing the trees at the same time. 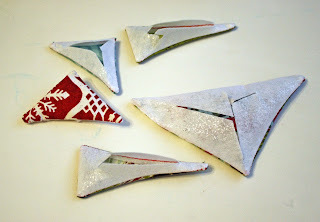 If you used the dryer sheet or coffee filter, you can just press them flat, then pin them where you want. 6. 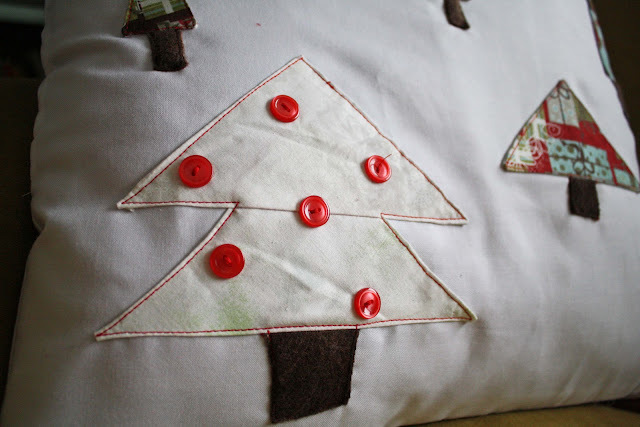 Sew applique to pillow top. 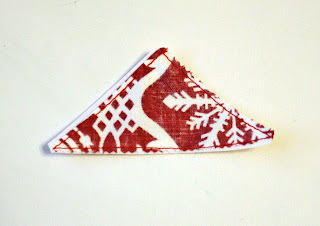 I chose to just use a straight stitch to sew along the edges. I also peeled the tree bottoms up a bit to shove the fleece trunks under. I had this white tree. It looked pretty stark on the white pillow, so I added some cheap red buttons to hopefully add some color and interesting texture. I think I may go back and sew sloping lines with light blue thread to look more like a landscape, rather than floating trees. I planned the sizes of the trees would give it dimension, but it may need a little help.